Is it time to give your kitchen a luxurious rejuvenation? Perhaps due to the amount of time we spend within our kitchens, we sometimes forget exactly what it is that first drew us to their unique designs. Those unique colours and materials that once distinctly resonated with your own personality often fade over time, both physically and aesthetically. The same feeling can occur with furnishings, accents and even appliances. Every now and then, it’s important to revitalise your kitchen. Not only will a kitchen refresh give the room a distinct feeling of rejuvenated modernity that had previously waned over time, but it will also ensure that your kitchen never strays far from the familiar – never too far from the reason you had your kitchen crafted in the first place. In this article, the Extreme team will guide you to help you understand when a little design revitalisation may be required. At Extreme, we always design with long-term functionality in mind. We often find that it is a lack of functionality in the kitchen that drives our clients to seek out new, fresh designs to give their kitchen a much-needed, expertly revitalised feel. While aesthetics are incredibly important in the design of a truly luxurious kitchen, functionality should be at its heart. Function changes as time passes. 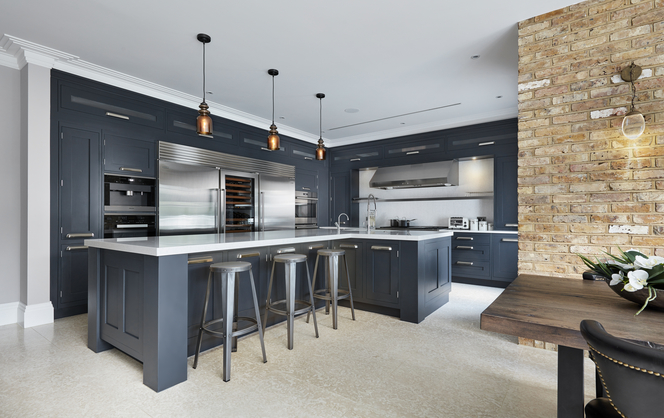 Perhaps you have started a family, perhaps your children have left home – you may even have simply developed a new passion – whatever the case, a kitchen’s original function rarely meets all of your needs forever. Our designers continually push the boundaries of design while ensuring that our kitchens maintain their functionality for years to come. Of course, we aren’t fortune tellers and can’t tell you exactly what the future will bring, but we always do what we can to future-proof your kitchen. We use revolutionary designs that can be changed and adapted as time – and their required function – begins to change. Form is frequently just as important as function in the spaces that we find ourselves spending most of our time. While being unable to perform the tasks we expect to be able to in our kitchens is obviously a sign that a kitchen refresh is required, having an outdated style is just as good an indicator. Trends come and go and it’s almost impossible to stay entirely on top of every fashion that enters the world of kitchen design. Over the years, kitchens have seen plenty of fads, from the mint green pastels and linoleum flooring of the 50s and 60s to the all-white and cream trends of the 90s and early 2000s. What unites every fad, however, is their ability to date a kitchen. If your kitchen has fallen afoul of the fads of the past, you have another great indicator that a little rejuvenation is in order. The key to delivering a truly luxurious kitchen to surpass a more outdated room is not to simply replace what came before, but to find timeless designs that will be fit for the future. Collaborating with an Extreme designer is an ideal way to ensure that your kitchen design will be considered with the future in mind. 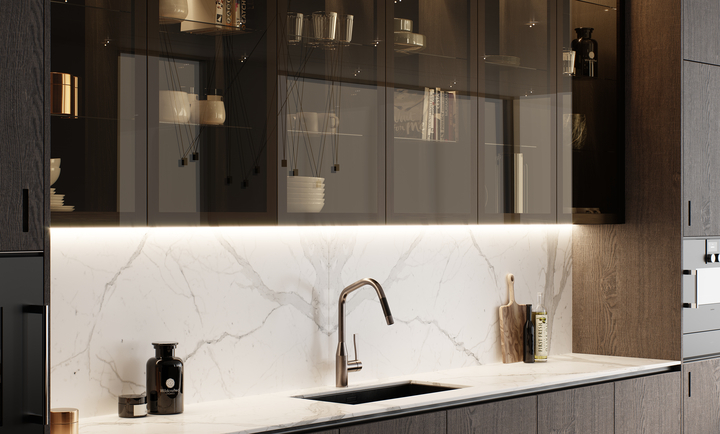 While we can’t predict the trends that will come into fashion, we are aware of the key design staples that we view as cornerstones of timeless kitchen design. For instance, the look and feel of luxury hardwood in a more rustic kitchen is guaranteed to hold its appeal for decades – the same can be said of natural stone flooring. What exactly is the best – and, of course, the most desirable – style for your kitchen can vary dramatically. Ultimately, in closely collaborating with a designer, we strive to understand your story, your home, and what exactly is required to keep your kitchen exuding an aesthetic of timeless luxury for years to come. Many homes have been designed to definitively old-fashioned standards. They may have been refreshed with modern stylistic choices and entirely fulfil their required functions, yet they still showcase a decidedly generic layout and feel. The general design of the kitchen has not changed for centuries. Many people view their kitchen as a small room at the rear of the house with the basic ‘kitchen triangle’ layout of the oven, sink and refrigerator satisfying their basic needs. At Extreme Design, we believe that one should never be happy with this generic mediocrity. Instead, we apply our architectural understanding to the whole space that surrounds the kitchen to offer recommendations that enhance the kitchen by ensuring it harmonises and flows perfectly with the adjoining rooms and overall home. We often recommended to change the layout of the kitchen, re-position a window or knock down a wall, and have even gone as far as to move the kitchen to an entirely new location within the home. We have a philosophy rooted in the idea that the boundaries of design should always be pushed and we encourage the clients that we collaborate with to make optimum use of the space around the kitchen. Sometimes our designs work against longstanding traditions, other times, they embrace them with a groundbreaking new injection of unique flair. 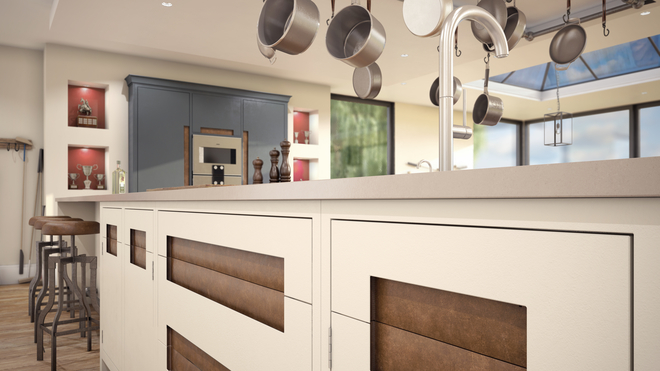 Whatever the case may be, at Extreme Design, we ensure that the space available for your kitchen is made use of in the best possible way both through both a stylistic and functional lens to leave you with a truly timeless kitchen. Is it time you revitalised your home’s luxuries? If your kitchen is in need of an injection of luxurious modernity, look no further than a collaboration with the Extreme Design team. Visit one of our design studios and discover what we can do for your home.